Drones are one of the most exciting inventions of the modern era, and more consumers are interested in buying and flying them than ever before. New modes of flight, ultra HD cameras, and long life batteries mean today’s quadcopters are the most powerful unmanned aerial vehicles imaginable. However, the rotors, engines, and electronic parts required to run the above create lots of vibration and can often be quite loud and annoying. They can bother other people in the area where you’re flying and are sometimes troublesome for the pilot themselves. This is why more and more buyers are becoming interested in silent drones, a quiet alternative to standard quadcopters. 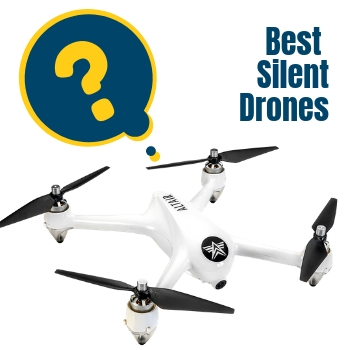 As chosen by the expert Dronethusiast staff, these “silent drones” have been selected for their quietness, but also for other considerations like their price, feature set, and cameras. Different quiet drones will work better for different customers, so read on and see which is right for you! The Outlaw is an extremely quiet drone that’s fairly cheap and can be flown by anyone, regardless of your previous piloting experience. The brushless motors and careful construction is designed to reduce as much friction as possible with the motors, leaving you with an almost silent drone flight. Beyond that, this is just a great drone overall, thanks in large part to its GPS functionality. This allows it to return to a “home” point with the press of a single button and, when put in GPS flight mode, to keep itself stable in the air to make it easier to take photos and video. It has a solid flight time of about 18 minutes per battery and a very good range. And all this for under 300 dollars! That’s why it’s one of our favorite silent drones for sale. The DJI Mavic Pro is a popular, portable drone that the company promises is 60% more quiet than its other Mavic models. In independent field testing, it’s even been found to be quieter than the more recent Mavic 2, making this version the one that noise-conscious drone buyers should look for. According to a study by The Verge, the loudest the Pro Platinum ever gets is 60 decibels, compared to the 80 decibels of the original Mavic Pro. This is also just one of the best portable drones around with an extremely high quality camera, independent flight modes and obstacle avoidance, and a great flight time and battery life. 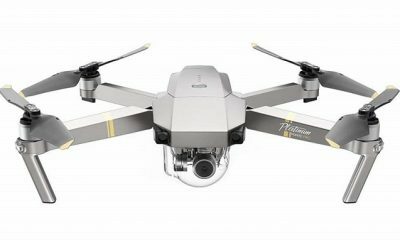 It’s a bit on the expensive side, but for those willing to spring for the very best the DJI Mavic Pro Platinum is an excellent silent drone for sale. 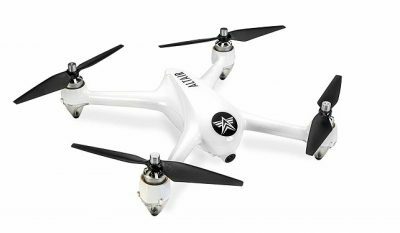 The Parrot Mambo is the cheapest quiet drone you’ll find – indeed, it’s one of the cheapest drones period. But that doesn’t mean that this mini beginner quadcopter skimps on the important stuff – it has a decent camera (0.3 megapixels or 480×640 video resolution), it’s very stable indoors or outdoors, and it can even fly on its own with Autopilot functionality. As for noise, the Mambo never gets above conversation level – the manufacturers cutely suggest that it’s as “quiet as a wasp.” Noise-sensitive buyers who are looking for an entry point into the hobby should have nothing to complain about with this lovely and quiet drone. The 4K recording functionality on the Yuneec Q500 is clearly a popular feature to look for but there’s much more to this than just that. This uses clearly designed insulator materials on its body to keep vibrations and shaking down. It also uses a sturdy body that is effective enough for most use without any problems. The vibrations generated by a drone can be rough to handle at times. By using a design that keeps such vibrations in check, a drone will not be noisy. 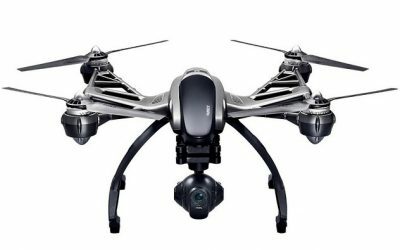 The Yuneec Q500 is made to keep sounds down because it doesn’t have loads of noises coming out of its body. This is a good aspect of the drone that should be used based on how well it can be handled without being rough or otherwise challenging to handle in some way. 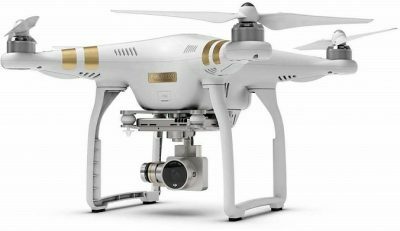 Though outclassed in most respects by the more recent Phantom 4, the Phantom 3 Pro is still considered one of the most silent drones on the market thanks to a vibration damping feature that keeps the body of the drone intact and prevents shaking from developing. This is made with videos in mind as it makes them a little easier to shoot without lots of vibrations. More importantly, the secure body of the drone keeps it strong. It insulates the motor and wires so it will not generate loads of noise. The propellers themselves are also wound securely so they won’t be noisy when moving around. This corrects the problem that many loud drones have. Such drones have their batteries and other key parts clearly exposed. With a drone like this, you can avoid the problems that come with trying to secure a great look. The sound of a drone in flight is about 75 to 80 decibels on average. A quiet drone is usually considered to be a drone that only makes 65-70 decibels of sound from a distance of three to five feet away from you. There are no truly silent consumer drones, although some of the models mentioned in the list above get pretty close. Sounds are a product of vibration, and for fairly obvious reasons vibration is a necessary part of the rotating motors and spinning propellers that keep a quadcopter in flight. The military is believed to have stealth drones that may achieve true silence, or at least a state so close to true silence that the difference is negligible. But you won’t find something like that in a store. What are quiet drones used for? Silent drone models are designed for use in many cases where a drone has to work without making lots of noise. They can work for surveillance purposes as a means of monitoring something without giving one’s location away. A silent drone can also work for when you’re trying to record videos. The problem with many drone videos is that the sound of the drone motor and propellers can drown out everything else in a spot. With a great silent body, you can keep the videos you record from sounding far too noisy. What are the key features of a quiet drone? It needs a sturdy body that can cover all the internal features of the drone. When the motor, battery and other features are exposed, noises can come out. This can be rather bothersome if not handled properly. A good drone will also feature physical materials that dampen the vibrations in its body. This means that it can prevent such vibrations from occurring and being too hard to handle. This is a positive that is important as vibrations can be rather rough. A thick body can make a world of difference in your drone as well. When the materials are thick, there is less space for the sounds to come out of the drone and be a disruption. Be advised, though, that the materials should still be sturdy and light in weight or else the rest of the drone might be bogged down.